The vision of 24-7 worship is in many respects very simple: to offer continual worship to our God in as many ways as he has gifted us, with as many means and instruments as he has provided us, and in as many places as he opens for us. However, this vision of continual worship is also so large and humanly impossible to fully conceptualize, much less implement, that we realize our total inadequacy to bring it to pass. If this were simply our idea, and it depended on our resources or skills, it would be foolish to even consider it; however, if it comes from the heart of God, we cast ourselves totally on his resources, guidance and enablement to bring it to fruition as he desires. We simply say "Yes!" to all he has in mind, "Yes!" to the One for whom nothing is impossible, "Yes, we will ride with you!" 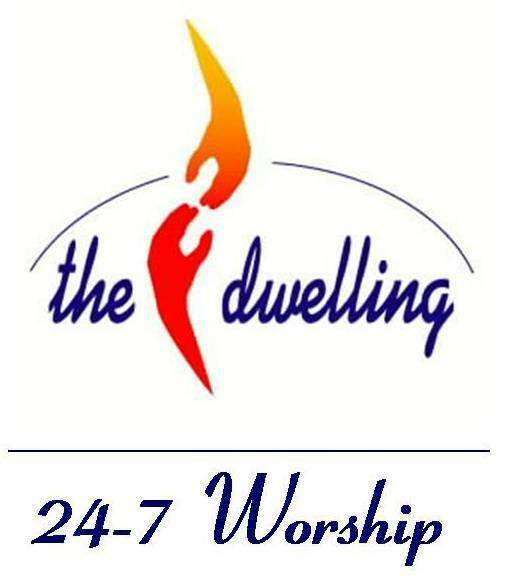 The name we have been given for this expression of 24-7 worship is "The Dwelling." Not only does God call us to make Him our dwelling place (Ps. 90:1-2, Ps. 91), to continually abide in him (Jn. 15:1-11) and focus our hearts and minds on him (Col. 3:1-4), but he also promises that as we do so, he will make us his dwelling place (Lev. 26:11), he will actually pitch his tent in our midst (Ex. 25:8-9, 29:42-46), and come make his home with us (Jn. 14:23, 2 Cor. 6:16). From the beginning of time in Genesis where God dwelt with man and walked with him "in the cool of the day," to the fulfillment of time where the book of Revelation declares "Now the dwelling of God is with man, and he will live with them..." God’s purpose and desire has always been to make his dwelling with us, and for us to be with him. Developing centers of 24-7 worship is simply our response to God’s call to us to make Him our dwelling place, and offering our best in providing a welcome place for God’s Presence in our midst. As we welcome and learn to "host" his Presence through continual worship, not only will the worshiper become transformed into his likeness (Rom 12:1-2, 8:29), but the Presence itself will have a transforming affect on the society, culture and environment in which we live (Col. 1:19, Rev. 21:5). It is for this reason that the vision we have is to establish as many Dwelling Places of 24-7 worship in as many localities as possible. 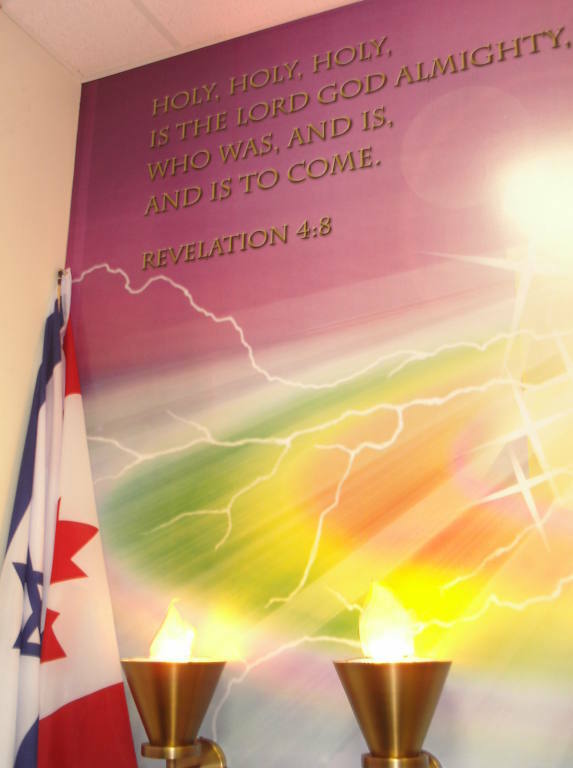 We believe that the Spirit of God is moving us beyond the walls of the conventional Church, and the vision we have been given is to encourage 24-7 centers of worship in as many and varied places as doors become opened to this. This could include places such as residential centers, schools, hospitals, municipal or government buildings, correctional facilities, office complexes, shopping centers, parks or recreation centers. Our vision is to encourage worship in these varied locations by as many means and creative expressions as he has gifted us with. This includes worship through a variety of music styles, with as many instruments as may be at our disposal. This can range from playing worship CD’s or streamed from our website www.24-worship.org (go to the Home Page) to having worship teams facilitate the worship environment. The focus is not on pleasing or performing for any human audience, but exclusively on ministering to the Presence of God, regardless of whether there may be two or two hundred people present. In this atmosphere of continual worship our vision is to use as many creative means and expressions as we have available to bless our creative God. This can include a variety of expressions of song or dance, or of visual arts such as painting, drawing, sculpting, or needle crafts. One may be inspired to creative writing in this worship atmosphere or simply lying prostrate in his Presence. Sometimes our worship will be expressed communally and at other times individually. But always the focus is on blessing Him with all the gifts, instruments, talents and time that he has first given to us. As we do our part and offer our best to him in our worship, developing new songs, releasing new sounds, creative forms and movements in worship, dreaming of and developing new expressions of worship – he promises to draw near to us, to put His Dwelling in our midst and in turn to give us more than we could even ask for or imagine!